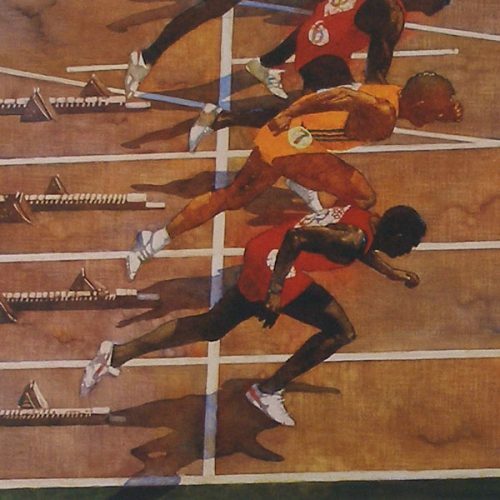 Edition of 550. 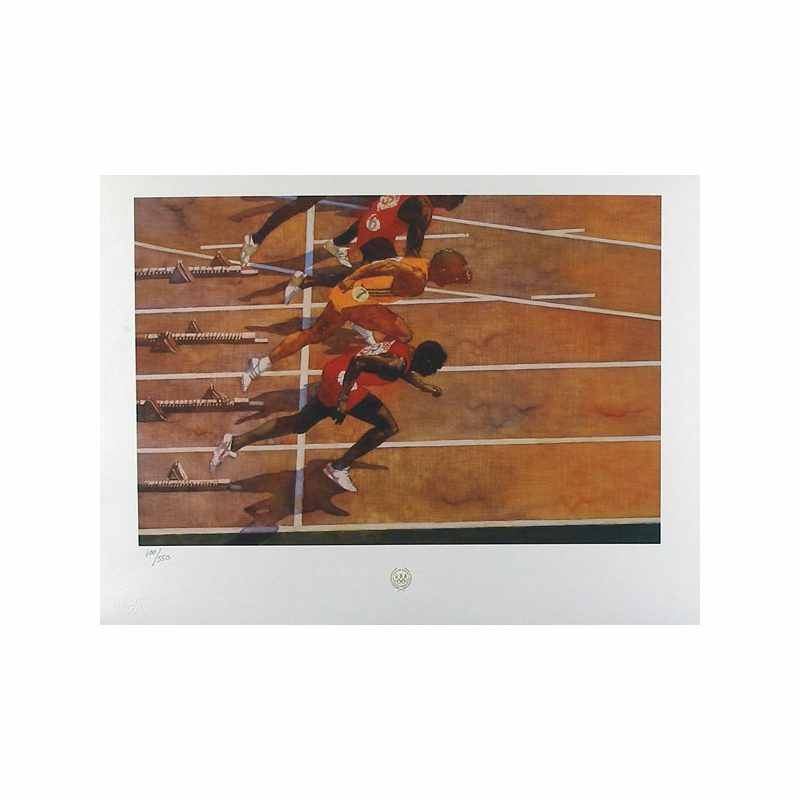 This limited edition print shows spirit and enthusiasm as the100 meters takes place in 1990 at the Olympic Summer Games. 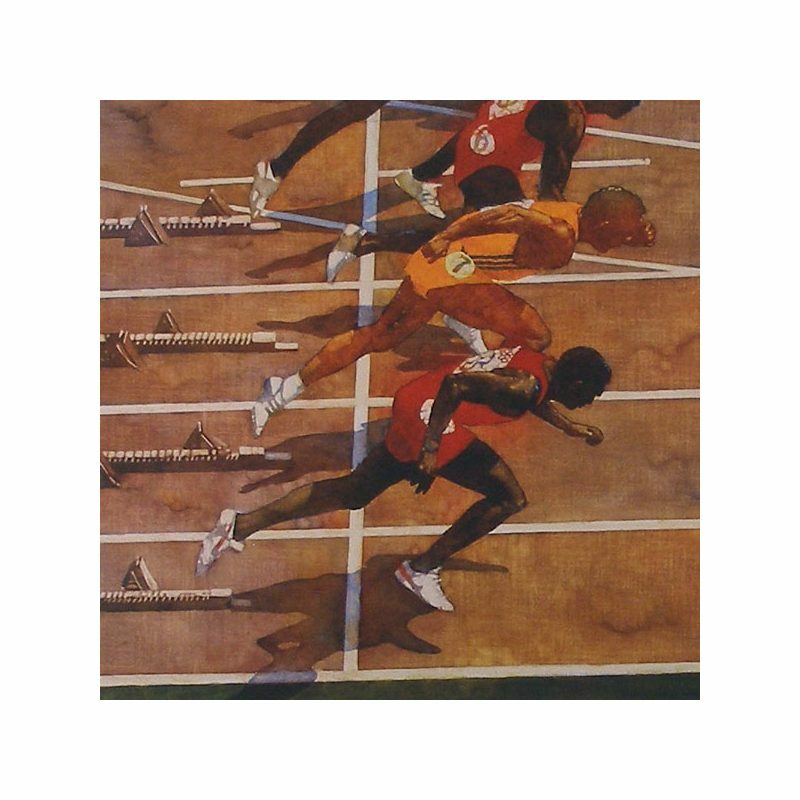 Bart Forbes captures a classic image of the runners in action. As we see is much of Forbes' work there is a lot of movement.